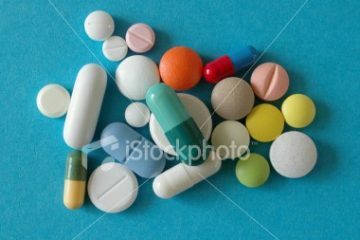 Fluoroquinolones, including Avelox/Cipro, are associated with an increased risk of tendinitis and tendon rupture in all ages. 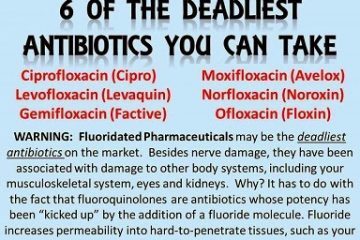 This risk is further increased in older patients usually over 60 years of age, in patients taking corticosteroid drugs, and in patients with kidney, heart or lung transplants. Well it’s about time. I wrote about this nasty habit of cipro to snap tendons and mess up joints over a year ago in my book because at the time Cipro was the most poorly rated drug on askthepatient.com. I hate to say I told you so, but, I did tell you so. It’s just too bad that it took the manufacturers a couple of years to get the word out. I wish people in the healthcare industry would read these website, which patients go to only out of desperation. Unfortunately, 81% of the time this toxic drug, Cipro is prescribed inappropriately, and 32% of women get this drug inappropriately for new onset urinary tract infections, when the preferred first drug is Septra. 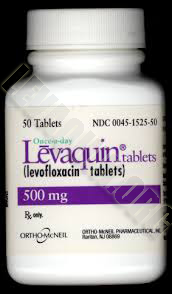 Another drug in the same class as Cipro is Levaquin, which is the third most discussed drug on medications.com, just behind my other two faves, Yasmin (the birth control pill that might make you nuts) and Singulair (asthma drug with similar problems). Levaquin and like drugs also seems to drive people nuts, which reinforces my conclusion that when it comes to drug companies, if they don’t kill you they might drive you crazy. So let’s all sing “I need a drug that won’t drive me crazy” to the tune of I need a lover that won’t drive me crazy,” by John Cougar Mellencamp. [Originally posted November 8, 2008, but things have only gotten worse since then; see recent posts on Levaquin and neuropsychiatric side effects and the FQ degeneration syndrome here and here.